My family has an upcoming Disney trip in a few weeks and I am having a hotel booking dilemma for the final night of the trip. Originally I was going to book us at the Hyatt Regency Orlando Airport for 12K Hyatt points. We had stayed there before and enjoyed the roof top pool plus it would be convenient for our early morning flight. All of that changed when my wife got that massive upgrade offer for the Aspire card. I decided I wanted to use her $250 resort credit for that final night. In order to use the Aspire $250 resort credit you must book a hotel on the Hilton Resorts list. This limits your options some but there are quite a few Orlando based hotels on the list. I do not currently have any travel planned over the next year that involves a Hilton resort so I want to use it just to be safe. A perk is only worth something if you can use it so better to be safe than sorry in my opinion. I went through each hotel on the list and checked for vacancies and the cash price. My plan was to find a hotel that came in at under $200 a night. That would leave us a little bit of money for food and drinks. After checking all of the hotels it came down to the Hilton Orlando or Hilton Orlando Bonnet Creek. I am leaning towards Hilton Orlando since it looks to be 15 minutes closer to the airport and it seems to offer a little more variety for the kids. If you have stayed at either of these, or both, and have a recommendation let me know. Even though I figured out which hotel we are going to stay at I am still running into a booking issue. The cash rate after including taxes and fees is $270. That would use the entire credit and nothing would be left over for food and drinks. I am not sure which way to lean at this point. This would use the entire $250 resort credit and would leave me with an out of pocket cost of $20. I would have to pay out of pocket for food and drinks though. The cash stay would earn points which would net me around 10,000 Hilton points with Hilton’s current promo, Diamond status, and the Aspire card. The points rate is 50K per night. That is a return of .54 cents per point which is an above average redemption rate. I could also look at this as me trading in 50,000 Hilton Honors points for 12,000 Hyatt points which is valuing Hyatt points at 1.8 cents each. That is about what people value Hyatt points at. So overall this is a pretty good redemption. I am not sure we could use the full $250 in one night on food and beverage. We could always use the rest of it on another stay. I do prefer to use things in one shot and move on otherwise things can slip through the cracks. This is another option since we recently earned a free night from the American Express Ascend card. But it is not something I am seriously considering because I would like to use it at a higher tier property that will save me more than 50K in points. My wife will also get a second free night from the Aspire card which could make for a luxurious weekend getaway. You could say I am stuck at a crossroads. If it were for 2 or more nights then I would almost certainly book the room with points and eat and drink for free over the course of the trip. I wish it would have been around $175 for the stay so we could have done both. You guys know how much I love truly free travel and booking the night on points would allow us to do that. But the stay would really end up costing me 60,000 Hilton points since I would leave the 10K I could have earned for the paid stay on the table. Although technically I would earn those back by charging $250 in food and beverage to my room. Arrrgghhh it is never easy is it? That is why I am asking for your help. Let me know which way you think I should go and why in the comments section. Did you look at the Hilton Grand Vacations at Sea World or the Doubletree by Hilton Sea World? Both of those properties can be found for less OOP and you’d still have part of the credit left for food and drinks. It’s just about as close to the airport as the Orlando Hilton. Bonnet Creek is in the middle of Disney Property so not airport adjacent but does have a very nice lazy river. I looked at Double Tree but it seemed like a regular hotel with a pool when I quick clicked through. It seems like there may be more than I expected. Have you stayed there? Looks like there is a little play ground area and a putt putt area etc. That one could be the winner. We stayed there and we liked it. Thanks Roman that is good to know. That would have me leaning towards paying cash for sure. My recommendation is to go with Option #4 – Keep what you have at the Hyatt and save the credit for another time. All this consternation over something that was already wrapped up (when you decided on Hyatt). You are near the airport for your early flight, you already know the property, your kids like it. It checks all the boxes. You mentioned about the free night certs. Save the credit and make it a long weekend, or splurge on using the credit during that trip. We have the majority of the day (having to check out of the hotel around noon on the day before the flight) so I was trying to get someplace a little more exciting for the kids. Something to consider though – thanks Jason. Hilton Bonnet Creek for sure. This is my favorite Orlando hotel (even as a Orlando resident). You only get a $20 daily credit for breakfast which doesn’t really go far but the lazy river and pool area in general are amazing. It’s also connected to the Waldorf Astoria so you can enjoy all their amenities as well! Huy I was not aware it shared amenities with the Waldorf as well. Good to know. The $20 credit is actually pretty similar to what Waldorf properties do as well. Thanks for the tip! Oh yes, Hilton Bonnet Creek shares a parking structure with the Waldorf Astoria next door. There is a long running thread on FT comparing the two. 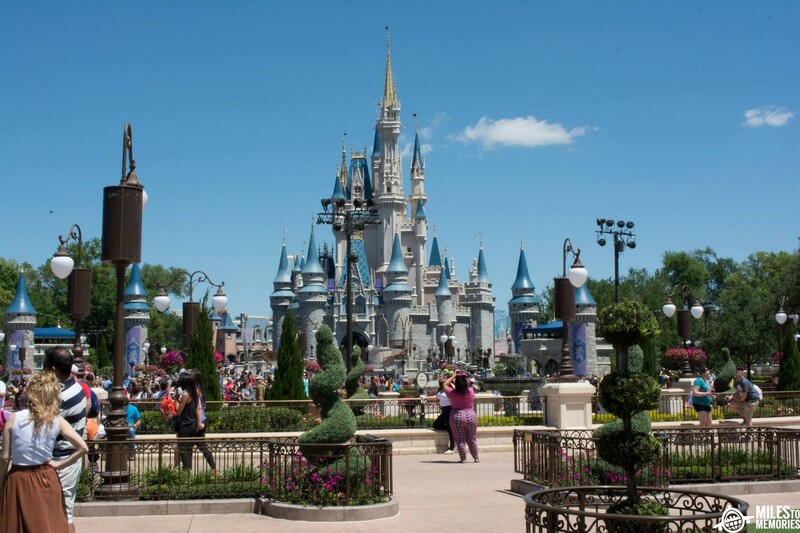 It’s just about the best choice for Walt Disney World, from any chain. Mark I live in Orlando and worked for a Hilton HGVC both nearby. Both have lazy rivers that are nice. Bonnet Creek it’s quieter as it’s next door to the Waldorf. You get both properties with with Bonnet and a lot less traffic and crowds. Food is excellent at both resort prices. Hilton Orlando is large, very nice but noisy as heck. Located On/Near International Drive be prepared to suffer the zoo and crowds. If a lot of conventions are going on you’ll know it. I Drive is all chain food restaurants, gift shops. I Drive also has much more tourist crime than most places. I know I was on the law Enforcement/Business committee. You’ll thank me for this I’ve been at both. Good time to visit Mickey for sure. Enjoy my friend. Insider information – I like it. Thanks – much appreciated! Stayed at Hilton Bonnet Creek two weeks ago. Resort is beautiful. Booked standard room with cash got upgraded to Disneyview with Diamond status. The room was small and not impressive. At checked I asked if breakfast was included and I was told yes until when we got the bill we were charged between $35 to $40 for breakfast for two nights. Come to know that it was only on continental breakfast that was included. Explained what happened and they credited the charges. Overall I would recommend this hotel. The Hilton Buena Vista Palace is nice as well. It’s completely renovated and a favorite of mine. The Sunday breakfast is a Character Breakfast. It’s a big resort and rather nice now. There is a tower and a separate “island resort” which is easier to handle sometimes and closer to the bus and walk way to Disney Springs. Is there pet friendly hilton resort in Orlando? Stayed at all of them and with kids bonnet creek definitely best to me. Buena vista palace as a reasonable next and hilton orlando would be my last choice. – Bonnet creek is beautiful and per above shares with Waldorf. Amazing pool area with lazy river. Beautiful grounds and setting. – Buena vista palace has been nicely upgraded at least in the main tower and the new pool area is very nice with a lazy river as well. Per above across the street from Disney Springs so more action. – Hilton Orlando is a nice convention hotel – stay there annually for business. Lazy river and pool that has been upgraded over the years. Also has a basketball court and mini golf – but its a convention hotel. Not where i would take a family and no wow factor. Thanks for the great break down. Much appreciated! If it’s Hilton Buena Vista (so many Hiltons to keep track of).. the one off Disney Springs was a lovely experience. I was there for a conference and besides the humidity, I loved every minute I was there. Breakfast is simple and DS is an easy walk over their bridge. If you desire pool and sauna/spa life, it’s decent. Thanks Shirley seems like everyone agrees on Hilton BV. Lara S. on Why I Am Passing on the British Airways UR Transfer Bonus, Should You Too?